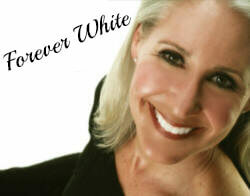 When you come to our office for your preventive examination, x-rays, and cleaning, we will provide you with custom bleaching trays, two syringes of professional strength bleaching gel, for a one-time enrollment fee of $99. (This is a saving of $300!). Then, at each recommended preventive visit, we will give you a complimentary touch up syringe of bleaching gel. This ensures that you will be able to keep your teeth bright and beautiful! You keep your six months preventive visits current. Your long term dental health is as important to us as it is to you. Our patients have found that these six month visits help greatly to reduce emergencies. That is why we are happy to provide this extra bonus for our patients who are committed to their dental health. Provide at least 24 hours notice if you need to cancel or reschedule an appointment. In order to provide exceptional services to all of our patients, we ask that you give us the courtesy of advanced notice for schedule changes. We appreciate the opportunity to serve you, and look forward to seeing your bright smile for many years to come. Enroll using the form below.